Parents choosing a drone for their child can sometimes be a difficult process. For those new to drone and who are struggling this mega-guide is here to help clarify the do’s & don’t’s and help you make a good decision. Drones are one of the latest in new tech and highly sought after by all ages from children right up to grampa. Your kids have loads of options, like a whole range in-fact, and depending on the ‘house rules’ you can even find one small enough and nimble to let the kids play in their rooms without worrying about something going wrong. So, all that being said and done there are some basic fundamentals when choosing, like all choices, it comes down to quality, price, and functionality. We don’t want the heating to go off because of a drone purchase, but at the same time, we also don’t want the kid to be disappointed cause the drone is nothing like the YouTube video he saw round at his best friends place. 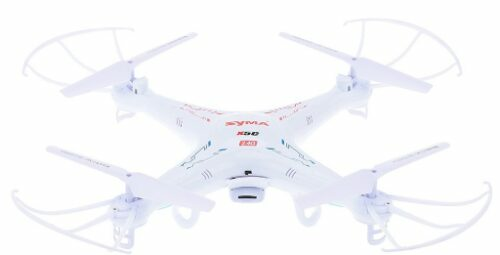 Some drones can go up to tens of thousands, however here you have a good range at a decent price here, both fun and great value, so your sure to find one that suits. 11.1.11 Drone Maximum Range – Does it matter? 11.1.12 Is The Weight of the Drone Important? 11.1.13 Does the Size of the Drone Matter? 11.1.14 How Long Should a Typical Drone Take to Charge? 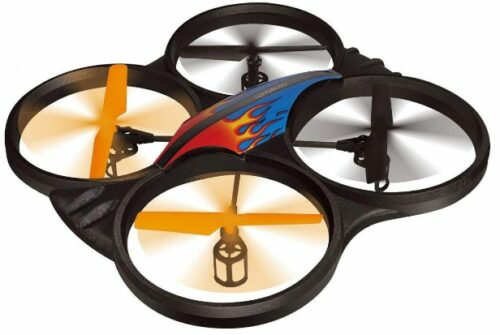 This RC quadcopter is an ideal pick for kids, beginners and even an aspiring pro. The drone itself has loads of features and includes everything you would typically find with a modern drone, but unlike others, this also has a few additional features that make this particular drone stand out. 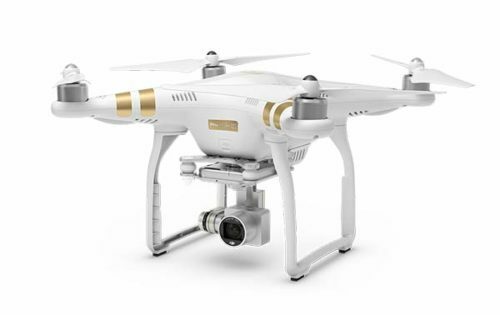 The drone comes with a 720P HD camera and can take good quality images and video footage from above. One feature I really can really appreciate is the 1 button takeoff and land. This makes it super easy to get off the ground and landing, which is typically where most people, who are learning, end up damaging their drone. The Price is great for the quality of the drone and with flight-time of around 15 minutes this will be loads of time to practice flying. The drone also includes advanced RC technology, so there is no need for a smart phone, which is handy. The alarm system on it helps alert when battery is low and even has an emergency function for if the learner needs help with an emergency landing. There are 3 flight skill levels depending on the user and for moms and dads wanting to oversee their child’s learning curve then this is the drone for you! This is a USA based Business and has international shipping. 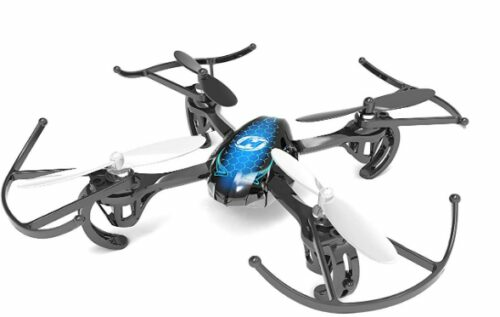 This low-end kids drone is a great introduction to the drone world, simply due to its exciting features, functions, and price. With auto-stabilization and awesome flight controls, this will hold its air space as long as your up to the challenge. The 4 circular channels and 6 axis gyroscope this will give you the strength to maintain position, just give it time and all will be revealed, but Rome wasn’t built in a day. Because this is usually for the first time buyers this comes with spare parts which are included and assist the steep learning curve one must undertake to maintain the skies. The LED lights are great for keeping sight in the darker times and are essential with the 3 speed modes, whether indoors or out this is ready to fly for the word GO, no need to spend time setting up it’s an eager beaver and ready to rock n roll. The charge time is 90 minutes, lasts around a modest 8-10 minutes and the range is 300 feet, which is amazing considering the price. There is a built-in camera option but doesn’t come as standard, but honestly, it’ll be a while before the camera function comes of any benefit. Cheerwing is a great drone and is designed for children who love flying them outdoors and exploring from up high. 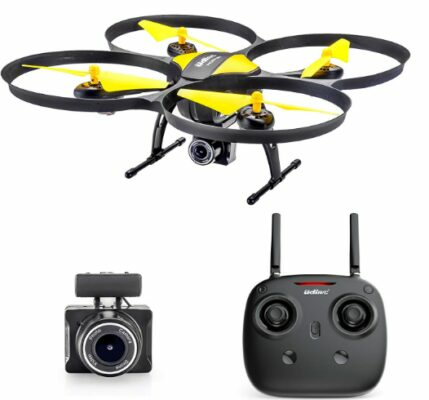 This drone’s camera is a mid-range drone and has a camera fitted as standard, equipped with an HD camera (2MP) it will allow you to take some great aerial photos and videos while not having to be attached to anything but the joy-pad. The high-resolution lets a whopping 30 frames per second and is similar to movie standard, well… close anyway! The micro removable SD card will keep all records as long as you don’t expect it to shoot for hours on end. The drone will automatically land when the battery is close to the end of its battery life, so you want to have a sudden 30-foot fall ending all beginnings. The overall performance here is definitely a step up from the previous and will give you improved features and user experience, whether it’s the 360 roll or hover mode, it’s got some tricks up its sleeve to keep you entertained. This easy to maneuver drone is again for the beginner standard to intermediate drone flight pilot with its UAV the drone will help you fly it as much as possible, up to a point of course. The user flying experience can be noticeable when going from the cheaper low-end drone to this device, simply for the fact it can maintain speeds, directions without too many malfunctions in handling. 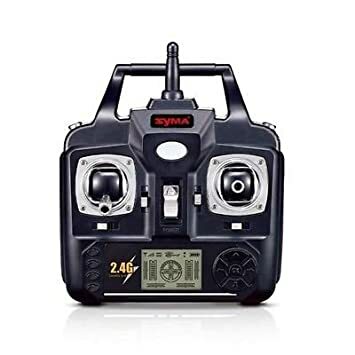 I have noticed some drone do not handle themselves when they are close to the end of the battery life and can malfunction, but this Syma doesn’t. The warranty is 24 months and shows in itself that they have made a quality product and is reflected in the warranty. This upgraded X5C-1 quad-copter has 2 megapixel camera and a very good line of sight, unlike some lesser quality drones. 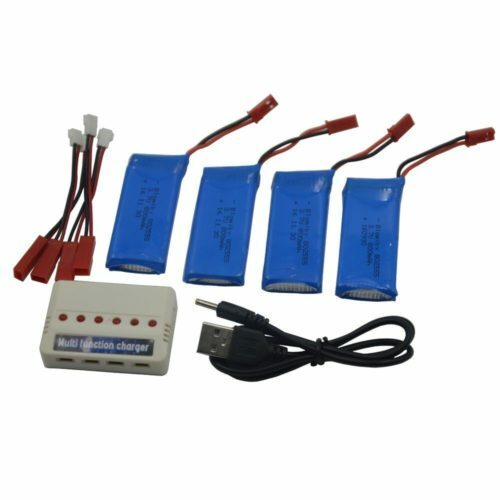 The battery life is sufficient in time and similar to the previous, but where this one distinguishes is the USB cable, extra blades and even a screwdriver to make the exchange easily changeable. This high-end drone is a step in the right direction as far as I am concerned with its headless security system, key return, and superior functions. 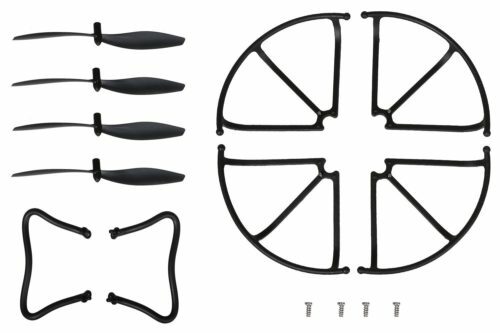 This product is easy to use, high performance and makes flying an experience that will make you want to improve and advance up into the droning world. There are competitions in droning now and the future looks set to make this a sport and why not get your kids into this up-and-coming trend to maybe make them the future household name is the drone world of sport. This mega-drone is a choice for parents with kids that want to give their child a toy that stands out both in terms of being lightweight, durable and can handle windy conditions. All drones offer slightly different viewpoints, but with this drones first person view camera there is nowhere that can’t be explored. This drone is capable of handling getting bashed or collided into something without getting damaged. The plastic casing has been made to handle rough use and is guarded against those natural elements. This is the largest drone in this review and stands out as being one for a birthday or Christmas present. This is 21 inches in size and is an impressive playing figure that glides high in the sky with ease, even on the windiest of days. This can handle the windy conditions because of the power the drone has, which is a battery designed to produce extended use and functionality. The battery itself is 7.4 V and for those days that the kids want to play for hours at a time they can with a spare battery that some good distributors have as standard. 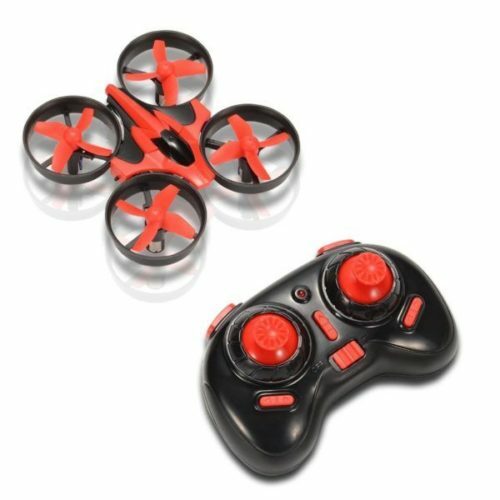 This mini-drone is a great quadcopter drone and is perfect for younger children just beginning to learn how to fly a drone. 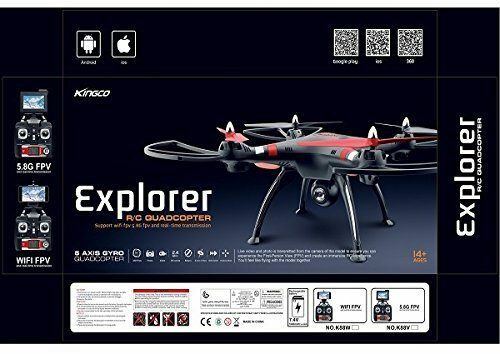 This drone has an easy to use a remote control with a mode designed for children to use. The 6-Axis gyro is headless and made to make flying and controlling easy for kids. 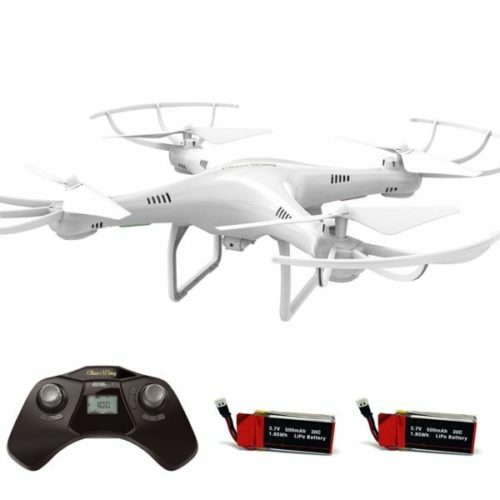 The drone has a powerful 2.4GHz and is a UFO 4CH quadcopter, which in comparison to the other drones is a little less powerful. However, this can change height, power, and distance with a flick or press of the remote control, which is governed by the remote controls location. This control allows for 360 flips and can roll with ease for those kids who begin learning how to control the drone. The operating range is around 100 ft and is good for flying outdoors in windy conditions. The drones price is cheap in comparison to the others, but with only 5 to 8 minutes flying time, this seems justified. The battery is quick to charge and with 30 minutes this drone can be ready to fly. 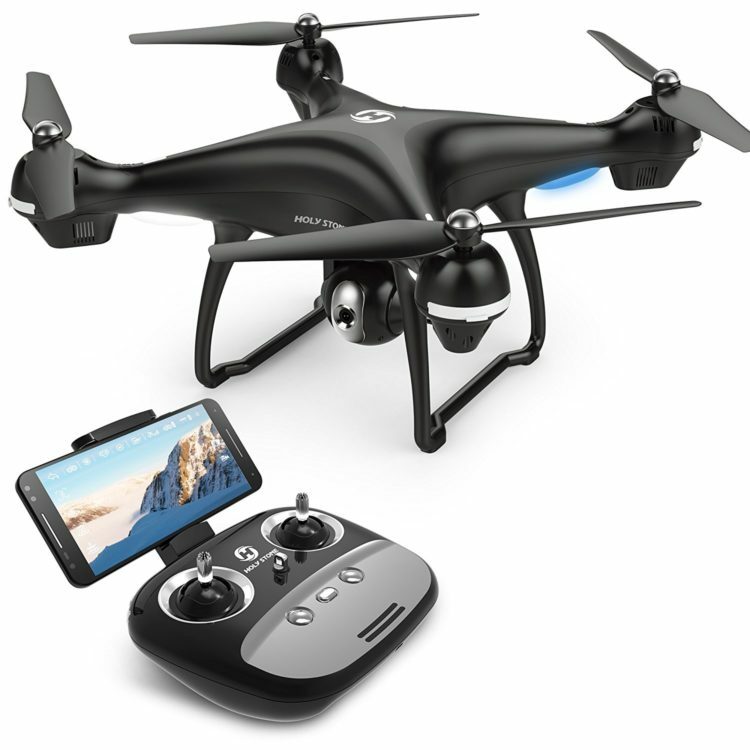 This NH010 Mini is one of the cheaper types of drone and some distributors will even offer a money back guarantee, which is why this is a good choice for a birthday gift or Christmas gift. This awesome quadcopter will make a great drone for kids, as it is small and easy to fly. The drone and controller are both small so your kid can easily slip it in a backpack, if they are big enough, and take it with them on their adventures. This is also great for first time flyers as it has a simple ‘take off, touch down’ button for easy take of and landing. Let your kids take to the skies and live out their dreams as a spy pilot with this awesome drone and wifi camera combo! Yes, you hear right. This drone comes with a built-in HD camera, so your kid can take incredible photos or films as they fly. They can then easily upload them to social media to show the world. This also has a headless mode to help beginners and younger kids get the hang of flying, two speed settings, 3d flip modes, and a one key return system for easy takeoff and landings. All min all, this is a super fun little drone that both younger and older kids can easily get the hang off. We also love the fact that it comes with a built-in camera. This great quadcopter drone really lives up to its name with power quad engines which will see it speeding around the skies like an eagle. This thing also has some great features for easy flying, such as low interference frequencies, headless flying modes, and a great wind resistant design. Along with that, it has a massive transmission range of up to 50 meters, and you’ll get around 8 minutes of flying time from about an hour of charging. This drone has been designed to be used by kids of 14 years and older, so if you’ve got a teen just itching to get into the wild world of RC Drones, this predator will be one to keep an eye on. The “Cheerwing Drone – CW4 RC ” is a great low-end product and will keep you glued to the sky watching your drone whizz about at speeds the eye can thankfully keep up with. This has the HD camera, SD-card, 360° roll feature and will perform at a standard that is also great value, especially at this affordable price. 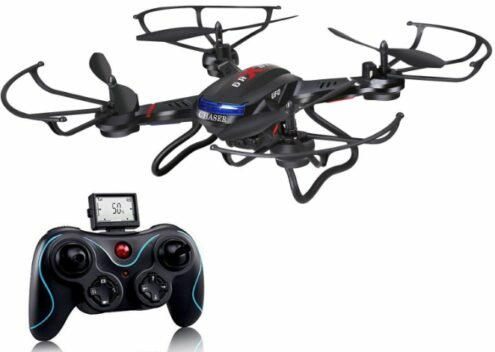 The one directly above “Altair 818 Hornet Drone” is by far the superior product and comes highly recommended from me, it has everything a kid would want from a drone, whether its security, style, durable features and enhanced control this is the one for me. Just in case you do decide to buy our top pick and you need to get and spare parts for this awesome drone for kids, we’ve picked them out for you to save you time. 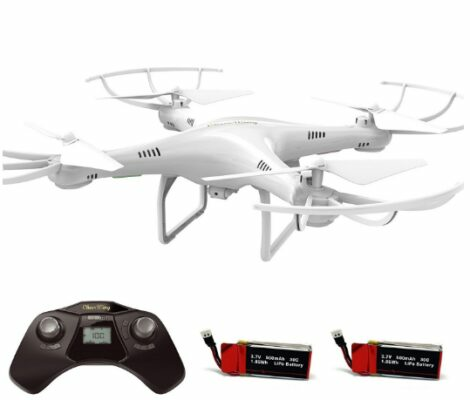 The battery and charger that come with the Holy Stone F181 will probably last you the drones full lifetime, but in case they are damaged in a crash or flying in bad weather, you can always get a replacement for them too. Propelle Guards are brilliant for children flying their drone for kids for the first time, as they protect the blade from damage in case of a crash. We strongly recommend them for first time pilots and younger children flying drones, and this set is made to fit the Holy Stone F181 perfectly. Again, we don’t expect this drone motor to be a common occurrence for those who buy this drone, but if you do find yourself ion the unusual situation where the motor has burnt out or has been damaged, you won’t need to scrap the drone as a spare motor can easily be bought. 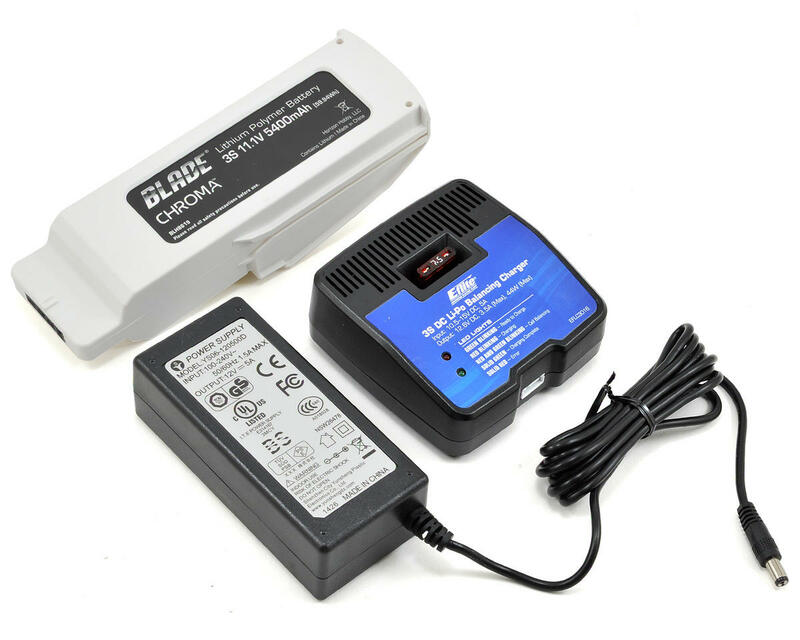 Unless you are knowledgeable and experienced with electronics, we recommend taking this to a professional to get the spare motor connected properly. 1. Is it difficult for my kid to fly their drone? Most kids drones have helpful features to make flying easier, such as one button take off and landing, and headless mode which adjusts the controls for the direction the pilot is facing. As long as they take it slow and practice, they should get the hang of it eventually. The biggest problem kids may have is flying around obstacles; encourage them to fly over instead. 2. Where can my kid fly their drones? This is changing all the time, and there are some places where your kids are not allowed to take their drones. We recommend you check out the laws of the state that you are living to see of there are any restrictions or no-fly areas. Always ask first; you don’t want them getting into trouble with the authorities. Generally, packs and countryside should be fine. Be sure to stay away from airports or anything like that though. 3. Will it annoy the neighbors? Unless you live on a big farm or out in the country, chances are that you have neighbors close by. It might be good to set some boundaries with your kids, such as no flying late at night, and, especially if the drone has a camera, respect the neighbor’s privacy and don’t fly over them if they are sunbathing or something like that. It might be a good idea to let your neighbors know that your kids have a new drone, as you don’t want to spook them into shooting at it. As you have probably noticed by looking for drones online, there are a lot of them out there and they range from basic ones for kids all the way to very complicated ones for RC enthusiasts. Therefore, in order to help you get a good, kid-friendly drone, here are a few things to bear in mind as you look. 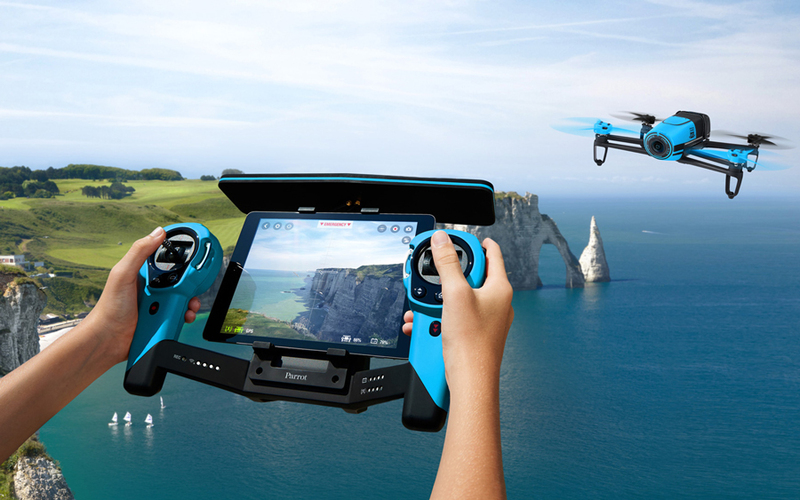 With most modern drones, there are two different controller types, a joystick controller, and a tablet-style control pad. We’ll look at each and their pros and cons. Joystick controller – These are the traditional style controllers that are very similar to other remote controls, they have two joysticks that must be used together to make the drone fly. The main benefit of the joystick controller is that it is very fast and responsive, and it they are similar to video game controllers on Sony Playstations and Nintendo Switches, so if your child plays video games they might enjoy these controllers better. The main con is that they take a bit of time to learn and get used to. 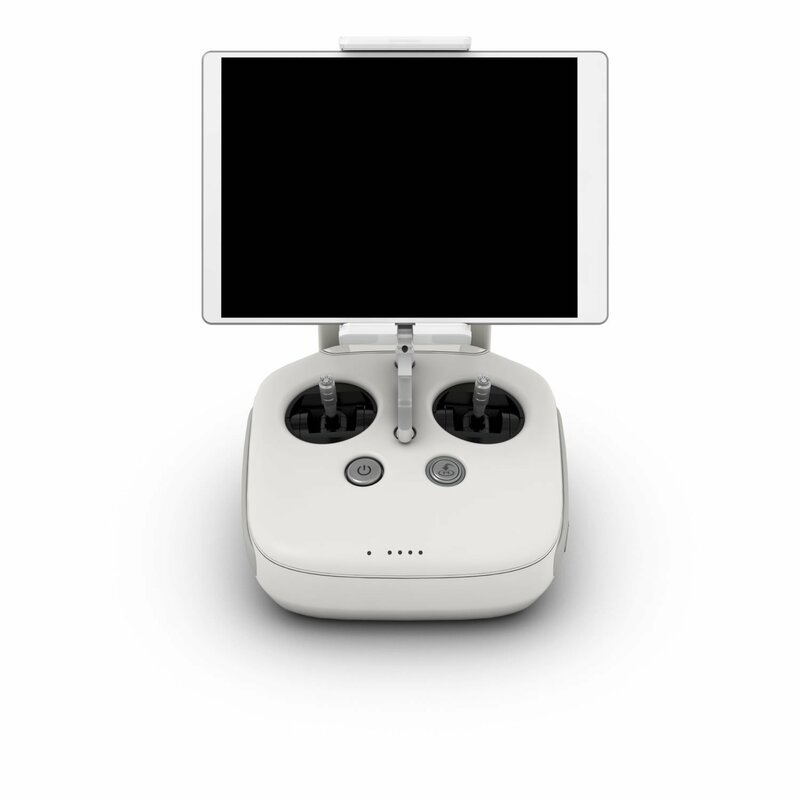 Tablet Controllers – These control the drone through a touchpad, and it might be a controller that comes with the drone or an iPad or such that can use an app to control the drone. The main benefit is that tablet controllers have built-in accelerators, and the controls won’t reverse when the drone turns around, so they are a little more intuitive and can be easier for kids to use. The main con is that reverse controls are easier on a joystick. 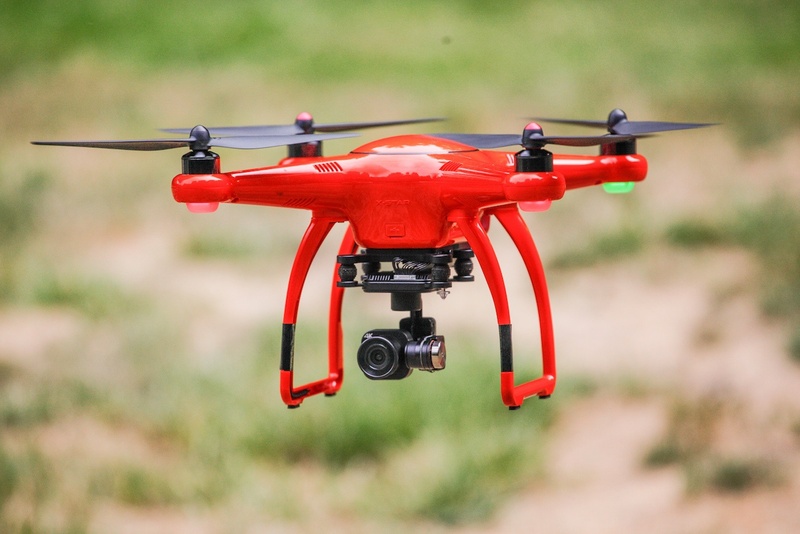 As most drones were originally invented for military surveillance, it is no surprise that a lot of recreational drones are designed with camera use in mind. Some drones come with built-in cameras, while some have spaces for you to attach or detach another camera when it is needed. Whatever one you choose is entirely up to you, your budget, and what your kid wants to do with his drone. Here are a few pros and cons on each to help you decide. Drones with inbuilt camera – As you will see, many of the drones above have a built-in digital camera. These can then be operated by the drone controller, and you should be able to turn it off when not in use so as to save battery. These can be more cost effective than buying a separate camera to use with your drone if you choose wisely. Its actually quite hard to take good shots and videos with a drone, and will require some expertise. Drone cameras will run the battery down quicker when taking videos or lots of photos. 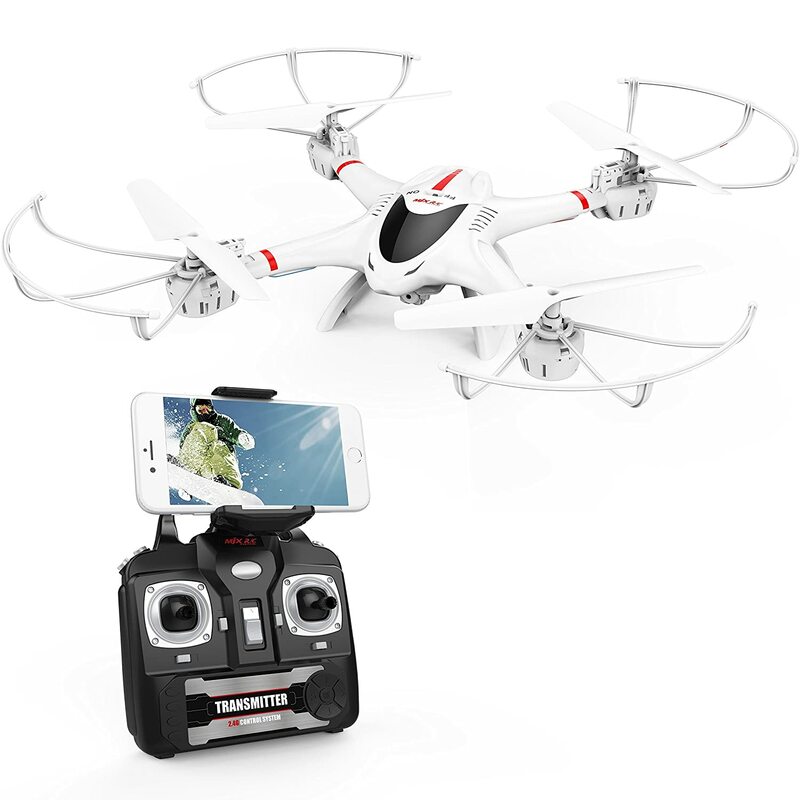 Drone with attachable Camera – Other drones have a special compartment to attach a separate digital camera too. This means you can attach your own camera and take it off when not in use. You might be pretty brave to put your beloved and fancy digital camera up in the air like this, but thankfully most of these drones have very secure and well-designed camera holders. 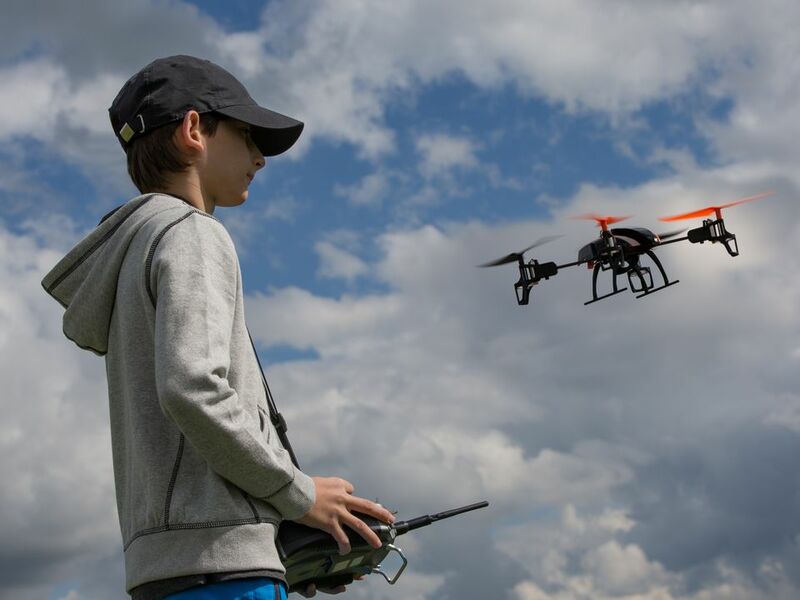 Operating the drone and the camera separately at the same time will be very difficult for your child, and they will probably need an adult to help them. You must really make sure the camera is attached securely, as its game over if it falls out. The camera will add weight to the drone, which might affect its ability to fly and certainly will make it use more battery to take the extra load. Drone Battery life – Most drones can get about 5-10 mins of flying time in, while some of the better ones can take up to 20 mins or more. It may not seem like a lot, but when you take into account the technology that is running these drones and the fact that they fly on lithium rechargeable battery, this is actually quite a lot. 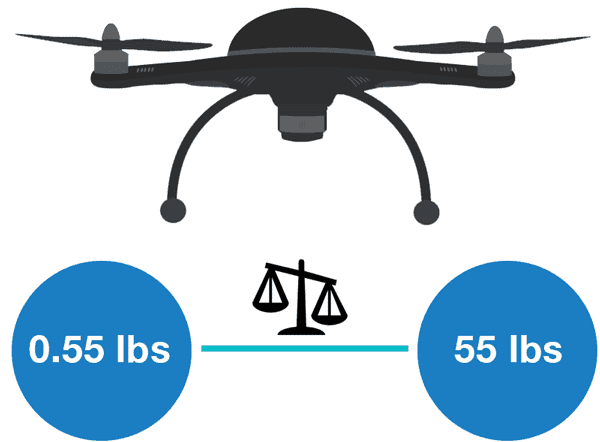 Weight – Depending on how much the drones weigh, including importantly how many engines it has, will make an impact on the flight time, as more weight will need more juice to get off the ground and keep it in the air. Larger drones will also need larger batteries, which means more weight. Add-ons – adding other gadgets on to your drone, such as a camera, will also increase the weight and cut down on flight time. Weather – the weather and climate can also have a big impact on how long the drone flies for. 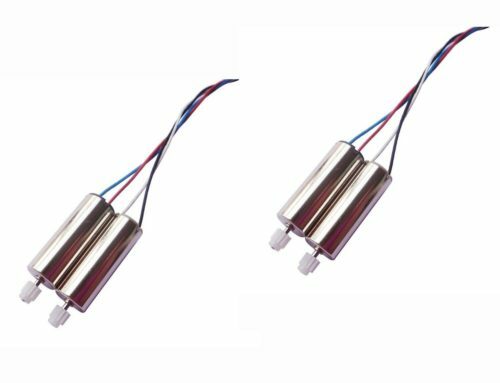 Both extremely hot and cold weather will cause the battery to work overtime, and high winds will make the drone use more power to stay stable. Drone experts also advise against flying in rain or humid conditions, as this can damage the batteries and motors. How you fly – another important factor that often gets ignored in terms of battery life is how your child fly the drone. Taking off is when the drone uses most of its energy, so if your child is taking off and landing a lot the power will run out quicker. Also, flying for long periods and max speeds will drain the juice out of the battery a lot quicker than moderate speeds. So teaching your child how to fly properly is just as important if you want them to get the most out of their drone. While federal and state laws will govern how old you have to be to fly a commercial drone, for hobby and toy drones there are no official age limits or restrictions? So how should you know what is a good age for your child to get their first drone? While manufacturers will have recommended ages for their beginner drones, we recommend drone only for children aged around 8 and up. A drone for 6 year old is different from a drone for a 9 year old, which is why finding the best drone is the ideal gift. This is because children of certain age groups are usually ready to use the controls of a drone and make it fly, while younger children might struggle and end up crashing and seriously damaging it. Also, we recommend that only children with enough maturity use a drone responsibly be given one. We understand that all kids like to horse about from time to time, but using a drone irresponsibly can be dangerous; playing tricks on their siblings might seem like fun at the time, but no one is going to be impressed if the drone crashes on someones’ head and sends them to hospital. Also, elderly neighbors might not know what a drone is, and could be tempted to call the police or shoot at it if they see it flying over their house. This is another reason why we think kids really need parental supervision when playing with drones. Drone Maximum Range – Does it matter? While this might be a very big consideration for a drone enthusiast, for a hobby drone for your kids, we wouldn’t be troubling yourself with a drone that has a long transmitter range. A range of 100 feet will be fine for a child. A drone with a 2.4 GHz transmitter will have a range of about 1 mile, and we wouldn’t recommend anything more powerful than this. This is because traveling more than one mile away will take the drone out of your line of sight, and unless the drone has a camera with a view screen on the controller, this can lead to all sorts of problems, as you can imagine. Is The Weight of the Drone Important? The weight of the drone is going to make a big impact on how it flies and especially its flight time. When buying a drone for your kids, you want to make sure you get something lightweight, as this will be easier for them to control. We recommend ultra lightweight drones, which are less than 5g, and lightweight drones, which can be anywhere between 5g and 50g. Middleweight drones, which can be between 50g and 100g, are also good choices if you think your child can handle all that extra weight. We wouldn’t recommend getting much heavier than this, though. Does the Size of the Drone Matter? Drones come in all shapes and sizes, from the tiny microdrones to massive heavyweight and super heavyweight drones. For your kids, we recommend the smaller sizes, such as micro drones, mini-drones and mid-size drones. These are great for beginners and children. Anything larger than that is moving into the semi-pro territory, and you don’t want to buy something too complicated for your child to have fun with. How Long Should a Typical Drone Take to Charge? It is important to factor in how much time it takes the drone’s batteries to charge, as your little pilots will have to factor this vital part of the preparation into their play time. Most kids drones should be able to fully charge in some time between 45 minutes to 2 hours. We’d be wary of anything that advertises as taking more than 2 hours to charge unless it was a really big and heavy drone. What Type of Drone is Best – Finding what type of drone you’re looking for is difficult, especially when your kid is of a particular type. 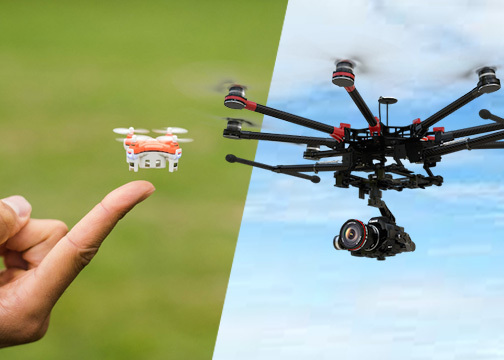 There are 3 types: Camera drones, Racing drones and toy drones. This is the easiest way to understand for a novice with no drone history or experience. Some kids love the drones that fly really fast and have been saving up for the next latest and greatest model that’s due out soon, while others like recording with camera drones, which record from heights that they would never normally reach. Others like playing around with the little toy drones in their room and flying with their friends when they come to visit. Whatever your choice these 3 drones are the foundation of types and is a great place to start your search for the best drone. Ease of use – Each type of drone offers a slightly different experience and the 3 main vary in capacity both difficulty and capability. These are the two areas that have to be matched and if the child isn’t ready for a particular type then make sure to get a drone that doesn’t stretch beyond them. The manufacturing guidelines is always a good place to start, but intuitively you’ll know what to get. The more expensive usually means more fragility and if your kid can’t handle a thousands dollars worth of equipment yet then make sure to get the toy drone and slowly build up. Size – There is loads of variation both in size and weight, which means the drone can be big and robust offering stability in turbulent skies, but also be heavy enough to smash if left to fall from great heights. I would suggest the smaller types for beginners and build up to the more expensive larger types as they progress. Price – This is definitely down to the parent and some kids will have an exact type and price in mind, which might come expensive. However, if your kid has never flown one before then a toy one is ideal because their first time is always gonna be fun and exciting.